Fasting is what you need to cure an ulcer. But one or two days will not do it, you will need at least 14 days of juice fasting. The reason fasting works is that the damage lining of the stomach is not exposed to the caustic acids of digestion. Severe case may need a period of water fasting with antacids when the pain is too intense. Fasting with potato juice will help significantly. Choose juices that do not irritate the condition. Potato juice tastes horrid but is famous for healing stomach ulcers. During World War I, a group of German soldiers, near starvation, were forced to live on raw potatoes. The soldiers with gastric disorders were relieved and cured. After the war, Dr. J. F. Magerl began treating gastric patients with raw potato juice. After 10 days of the treatment, most of the patients showed no symptoms. Fenugreek can be used to make a tea which when taken forms a mucilaginous coating and helps in healing of the ulcers. Vegetable juices – carrot juice taken alone or in combination with spinach juice or beetroot juice or cucumber juice is an effective home remedy for ulcer. Consuming 30ml of pure Castoroil with about 250 ml of lukewarm milk is a very good home remedy for ulcers. Stomach ulcer natural cure: drink 3-5 cups of whole milk and the ulcer should go away and make sure you don’t eat anything spicy for a while you can also eat other dairy products to cure stomach ulcer like cheese, bread or yogurt. Bananas neutralize the over acidity of the gastric juices and reduces the irritation to the ulcer. In include in your diet of banana with a glass of milk three to four times a day. I am a witness to the potato and cabbage cures. I have juiced them both when having an attack and the pain subsides very quickly. Both are horrible tasting, but it beats the alternative of medications. I can’t bring myself to drink it for prevention, but after changing my diet and including more cooked cabbage as well as the juice,”pot liquor” from the cabbage, despite much stress, I have had very little pain. Bread does not work for me. I do eat a good amount of bananas, so maybe they are working for prevention. thanks for the great info! Hi! My name is Maricel from Philippines, currently working in Dubai as a Construction Secretary. I am suffering my ulcer since 2 months ago, One day my ulcer was painful(attack) i asked my Fiancee to buy a food for me (from mc donald)with french fries after my meal, i was notice my pain in ulcer was gone. Now I click your website and i found out that the (patato)is a medicine for ulcer. I would like to say thank you for your web site. Where i can buy your book (fasting)? Please let m know. I am currently in Dubai. The books can be bought buy clicking on the ads on the pages. No hard copy are available. It you have a blender you can blend and stain the potatoes. I am with Leeanne at the Malapaco retreat and she is suggesting drinking some coconut oil a few times through the day and add it to your foods. Im suffering from terrible ulcers now what is the best cure and how do i prepare it? Is boiled cabage good for healing? Try and see which on works. Try cocunut cream, or slippery elm bark tea. Do a web search for more accurate info. hey tom, i found your site so interesting to me. last 2008 i was diagnosed having gastritis, muscle spasms and h-pylori & gas pain and for 15days i took medicines the doctor prescribed me and i stopped since im afraid taking synthetic drugs (clarithromycin, omeprazole, antibiotic) and it did not work. i still having pain on my left side of my stomach til this time and so the pain is spreading at the right side and so at my back. even below the ribs its like having burn sensation that cant tolerate. i cant sleep on my left and right side due of pain. for almost 3yrs i was in my daily routine having this pain and i used to have my fruit diet sometimes but that doesnt work and no medicine at all. For now, its killing me so i went for my doctor and they prescribed me medicine eperisone for my muscle spasms & alverine citrate for gas pain since im having full of gas in my stomach. i got my ultrasound and all are normal but i still felt the pain on my left stomach area. i searched on net about side effects of eperisone and yes im having headache and vomiting once i take the medicine. im tired going to see doctors and they just want money not to help. i hope you can help me and you are blessing to this site to many people and GOD bless you. i’ve love to hear from you soon. thank you. Hi merriam, Tom is on a mission in New Guinea. If you look at the front page you can view his wonderful work there. He checks in from time to time when near civilization. Stomach problems are tricky. Most times it’s from our diet. I would strickly cut out sugar, wheat, dairy and any kind of alcohol (if you partake). These are very irritating to the stomach. The left side indicates the small bowel area where it connects to the stomach. 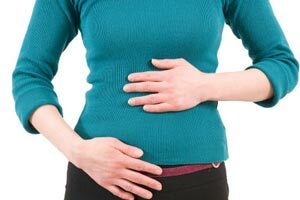 You may have irritable bowel syndrome (IBS) too. hey ron, thanks for your help. yeah he has wonderful works and he must be busy on missions. i was just being curious when i look back again and again and what a wonderful work he has….he was in sagada mountain province before and how i was happy he was there. im near in that place since sagada and besao are neighborhood municipality. thanks for your help and God bless you dearly. i started having carrot juice combined with cucumber/apples. before breakfast and before going to sleep i drink juice. and thanks for that aloe vera too and ginger. God bless you and thank for your prayer…. Yes it was indeed hard to leave. Papua New Guinea is a hard road for great gain. I have to press in every day past my fears and ignore personal comfort. How should I do this juice fasting?! If I choose a juice I done have to eat or drink anything els at all?!?! Plz give me more details. I’m dying from ulcer. For as stomach ulcer, use veggie juices as they are low in acid and add a few raw potatoes in the mix as they have helped many heal stomach ulcers. You need about 20 days. No food just juice. To add to Toms answer Cabbage is reported to help heal arthritis, anemia, avoid and heal cancer, wounds, boosts immune system, stimulate bowel movement for constipation and healthy regular movements, cleanse digesting system, weight loss, heals ulcers, hernia reflux relief and a lot more. Blessings and best wishes Keith.